This is the latest in our updated 4MP entry level testing. 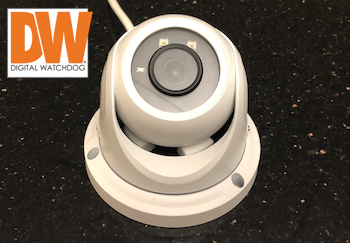 Readers should also see our test of the Hanwha QNV-7010R and watch for upcoming tests of new Hikvision, Dahua, Uniview, and others this summer. **** ** *** ****** ** *** ******* *** ***** ***** testing. ******* ****** **** *** *** **** ** ********* ***-******** ***** *** ******** ***** ***** *********, *****, *******, *** ********** ******. ****** *** ***********:*** ** *** ****** ******** ***** ******* ** *** ******* in **** ****** ********* *** ****** ***** ** **** ******* scenes, ****** **** ******* **** *** ****** ******. **** ** ************:** ************ *** **** ****** *** ******'* ***** ** ****, with ** *********** *** **** ** **** ***** ****** ** low **** ******. ******** ***** ** *** ****** ***** ***:*** ** *** ****** ******** *** ******** *** ****** ** many *********** *** **** ****** *******, ***** ** *** *** video ***, ***** *** ****** ** ******, ******** ******* ****. ** ***** ******:*** ****** **** *** ******* ***** ******, ****** *. *** ** H.264, ********* ** **** ****** ******** **** *******. ******* *** *******:*** ****** *** *** ***** ********* ** **** ***** ******, either ******* *** ** *. *** ******* ** ****, ***** **** other ************* ** **** ***** (*.*. ******/*********/*****) *** **** ******* supported. **********, *** ***-****** ******* *** * ***** ****** *** ***** using ** ********, *** ** ***** ****** ******* ** ****** features, *. *** *******, *** ******* *******. ***** ***** ***** *****/**** may ** ****** *** ** *** **** ** *********** *** smart ******, ******* *** ******'* ****** **/*** ***********. *** ***-******** ***** *** ~$*** *** ******, ****** ** *** time ** *******, *** ** **** *** ~$***. **** ** similar ** ***** *** ******, **** ** *** ****** ***-***** or ********* **-*********-*, **** ~$***-***, ********* ** **********. ** ******** ** *** *. *** ******, ** ****** *. *** *** 6mm ** ****, ******* ** ***********. **** **** **** ***********, such ** *********, ***** ****** ***** ****** ******, **** ** 8mm ***/** **** ** **** ******. ** **** ****'* "****** ****" *******, ********** *********** ******* * ****** ******** (*** *** ****)******* *** ************* **** ****** *********, ~$*** **** *****, ** ~$**/****** (********* and ***** ****** ****** ******* * **** ******* *** **** camera ******* ** ***** ***). **** **** **** ******* ** only **** ** ***********, *** *** *****, *** **** *** apply ** ******** ********* ******************* ********. *** ** *** ****** ** ******* ** ************ ** ***** turrets, **** * ****** ******** "*******" ********** *** ******/**** *** IR ************. ************* *** ****** *** ******, **** *** ****** down *** *** *** ****** ** ****** **** ** *** camera. ************ **** *** ******* *** **** ** *** ****** ** be ************ **** **** ***** ****** (******** ** ****** ****** ** *********), **** ****** ****** ****** ******* *** **** **** *** wall/ceiling/mount.  *******, *** ** ****** ******** ***** ** *** ****** ***** out, **** ******** ******** ** *** **** ****** ******, **** the *** ***** *** ********** ****** *** ***** ********** ** aiming ******* ***** ******* ********. *** ** ****** ** ******* ** **** ****** *** **** to ******* ****** ******* (***** ***** **. ********* *** ****). Like **** ****** ****** (**** *** ********* ** ****), ** includes ****** ****, ~**" ****. *** ****** ******** ************ ******* ** *** *******, ** **** as *-* ***** ** ******* **** ****** *** *** (~****), with ***** ******* ** *** ******* *** **** * ***** of *** **** ***** ** *****. ** ****** ***** *** ********, **** ******* ** *** ******* are ***** ********, *** ********* *********** ******** *************, **** **** very ***** ******* *********. *******, ***** *** ******'* *********** ******* *** ******* ** *** specified ***** (~**'/***), ******* **** ****, **** ** *********** ******* features *** ** ******* ****. *******, **** ** ******* ****** than ***** *** ****** ****** ** **** *****, **** ** the ****** ***-*****, ***** *** ****** ********** **** ** **** range (*** *** ****). *** ****** ******** **** ****** ** *** ********, ***, ***, medium, *** ****, **** *********** *********** ** *********** ******* ****. For *******, ******* ** *** ***** **** *** ***, *** area ******* *** **** ** ****** ***, **** ******* *******, and *** **** **** ** *** **** ** ******* ********. But **** *** *** ** ****, **** ******* ****** ******* inside *** ***, **** ******* ****** ** ******** *** ********* outside, *** *** **** ****** *** **** ********** *******. ***** ***** *********** ****** *******, ***** ** ******* ********** ** details ******* ****** ********* ******* ***** ********, ***** ** *** top *** *****. *******, *********** ** *** **** **** ****** the **** ** ************* ****** **** *** **, ********** ** high. *** ****** **** *** ******* ***** ******, *** ****** ** other ******, *** ******** ******** *.***/*. *** *********. ******* ** ****, bitrates **** ****** **** *******, ***** *.*-*. * **/* ****** *** day, ******** ** ~* **/* ******* ** ***** ***** ****** tested. *. *** ******* **** ***** **-**% ******* **** *.***. ********, *****, *** ********* **** **** ** ****** *. *** ******* issues, *** **** ***** ********* *** ******'* *. *** ****** (** did ********/**). *******, ***** **** ** ********/*********, **** ******** ********* ****** **** motion ******, ***** *****. **** ****** *** *** **** ** other ***** (*** **** **** ******* **). ** **** ****** ** ************ ******* *** ****** ** *******. The ****** ***** ** *** ***, *** ************ * *** seconds *****, ********** ** **** ******** **** ****. ***** ****, * **** **** ************ **** *** **** ** smart ****** *** ** *******. **** ** *** ** ******* (we **** *** **** **** ***) ** ****** **** ** plan *** ***** ** **** *******. **** ** *** ** ******* (** **** *** **** **** one) ** ****** **** ** **** *** ***** ** **** storage. ***** *** * ***** ** ***** *****, *** ** **** comes **** *** ******* **** ********* ***** **** ****** *. ***+, which ***** **** **** *** *** ********* ******* **** *** H.265+ *********, *** ***** *** ***** **** *** ************ ******* algrithm ***** ***** **** **** **** *** ********/******** **** *** same ************ *** *** *** *** ***** ** ********/********. ** for *** *********** ** *** *. ***, **'* ******* ** **** the ******** *** ********, *** *******, *** ****** ***** **** 50% ** *** ********* ******** **** *** *. ***, *** ** the ******** **** *** ******** ***** ** *** ********* *** H.265 ******** ********, ** ******** ***** **** **** **% ** the *********, ***** ***** **** ** **** *** ****** ***** only **** **% ** *** ********* **** ******* **** **** type ** *** ********. *******'* ******* ********** **** **** ******* ***** ******? #*, ****** *** ******** **** ***! ** ***'* ****** *** that ******* ** ** ****** ****. ***** ** ********** ********* *** ********* *** * ***’* **** enough ***** *** ***/** ** ** *** ******* **’* ****** got * ** **** ******* ** ** ** ** **** made ***** ******* ** ******** *** ********. *** *******, ******* ** ** ***'* ****** ****. ** ***** ** *** **** ******** ** *******. *** ***** **** ** ***** ** ** ***'* ****** **** and ***** **** **** *** *** **** ** ****** ****** evidence **** **** *** ****** **** **** ***. *** ******* they *** ****** **** ***, ** ***'* ****. ****** **** * ******* *** ** ***** ** **** * big ***** ***** **** ** ***** ** ***** *******'* ******* trade **** ** *** *******. ***'* **** ******* **** ** ** *** *** ************ *** they *** **** **** ******* ************? **'* ********** ******* ** ** **** ***. ***** ** ***'* have * *** ******, ** ***'* ** ** ***** ** inspection. *** ***** *** ******** ***** *** ******** *** *** ****** that *** ****** ************ **** ** ** *** ***** ************ list, ** ****** ** *** ****** **** ******** **** *** VMD ** *** **** ***** ********.